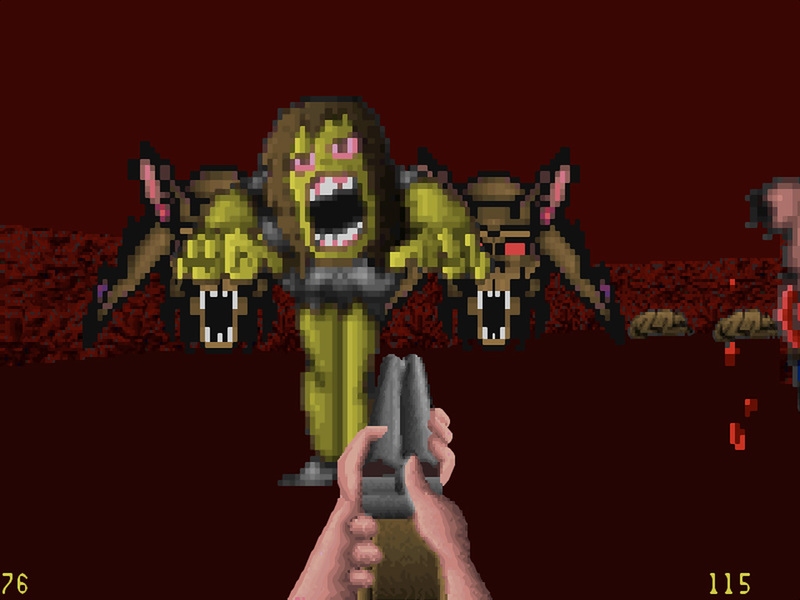 Hideous Zombies, Vicious Wolves And Other Horrors Await You, If You Dare! 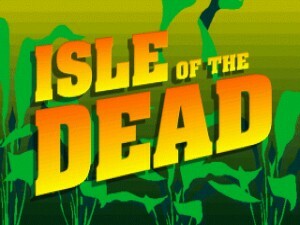 You know me by now, there’s no way I can resist a game called Isle Of The Dead. 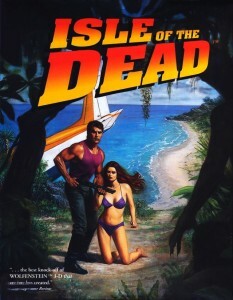 Paradisiacal islands and zombies is the best combination ever, even surpassing spaceships and aliens (proof of this can be found here and here), so when I first heard about this title ages ago I was ecstatic. 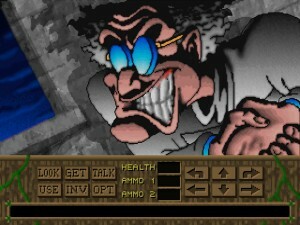 This curiosity, a compelling mix of first-person shooter and adventure, was released in 1993 by Merit Studios, the same publisher behind the better known The Fortress Of Dr. Radiaki. 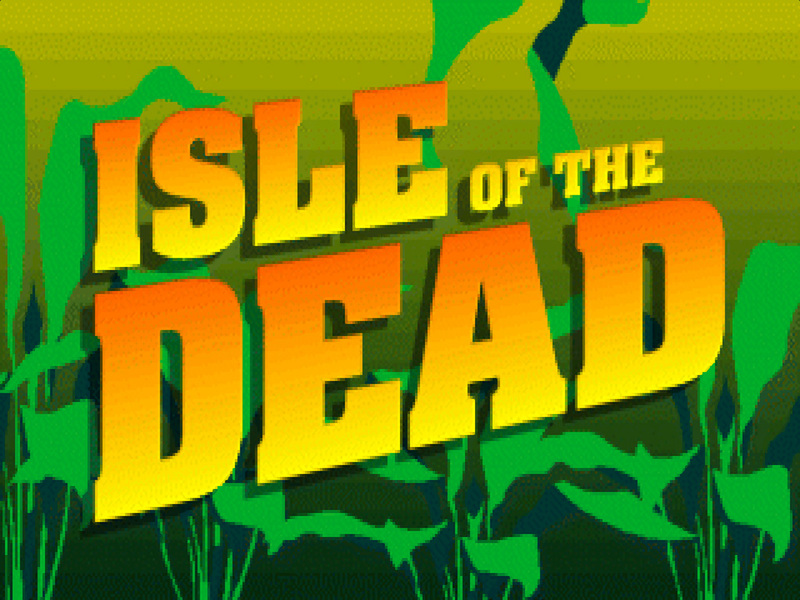 I can’t say my expectations were met… Isle Of The Dead is one weird game that feels like it was developed as an afterthought. 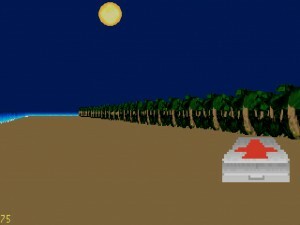 The story casts you as an unlucky passenger of a plane that crashes on a mysterious island. 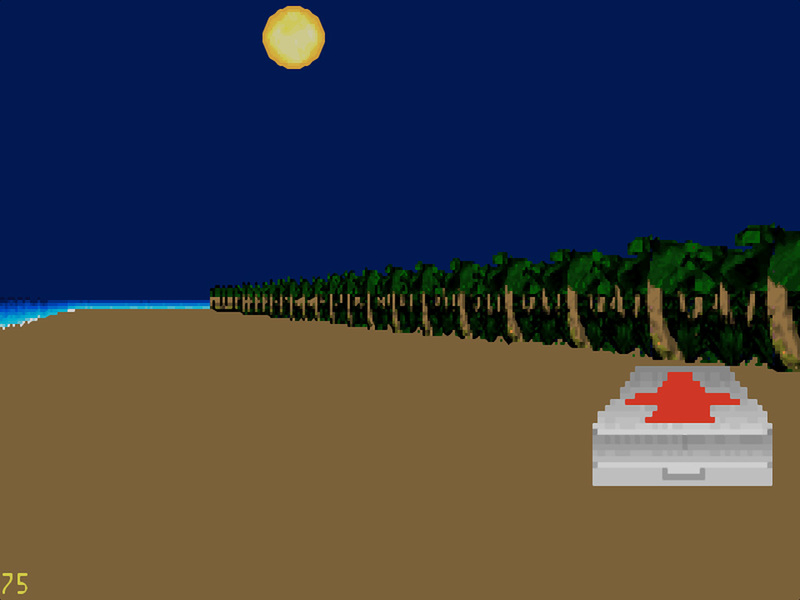 That’s a foolproof way to begin any story, but your hopes are shattered when you see the utterly ugly graphics: the whole island looks like a giant cardboard and it’s impossible to imagine that such flat textures can pass for vegetation. 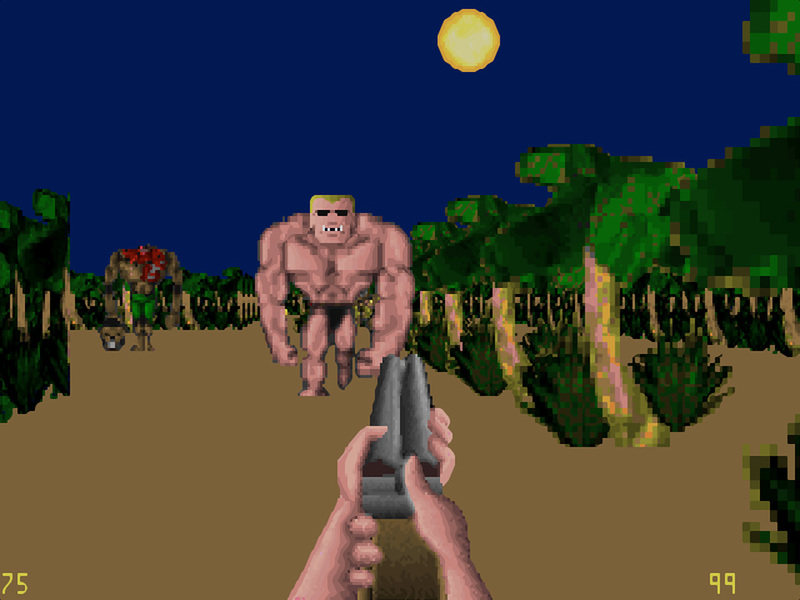 The enemies that are ready to attack you in a relentless wave the minute you start the game are very eclectic and offbeat: a zombie kid dressed like an idiot, a very muscular lifeguard who looks like anything but a zombie, bats, wolves, one big zombie in fairly good shape except for its white clean skull, and many other zombies in various states of decomposition… Oh, did I mention this is a game about zombies? 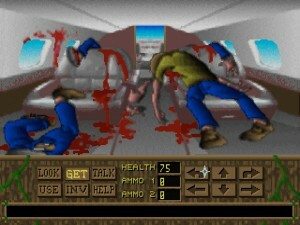 So, while I wasn’t sure what to expect when I loaded the game, it clearly wasn’t this. The presentation is very rough but the gameplay is somewhat interesting: you basically have straightforward shooting sequences mixed with traditional adventure puzzles. Those puzzles are awfully weak though so don’t expect anything groundbreaking. 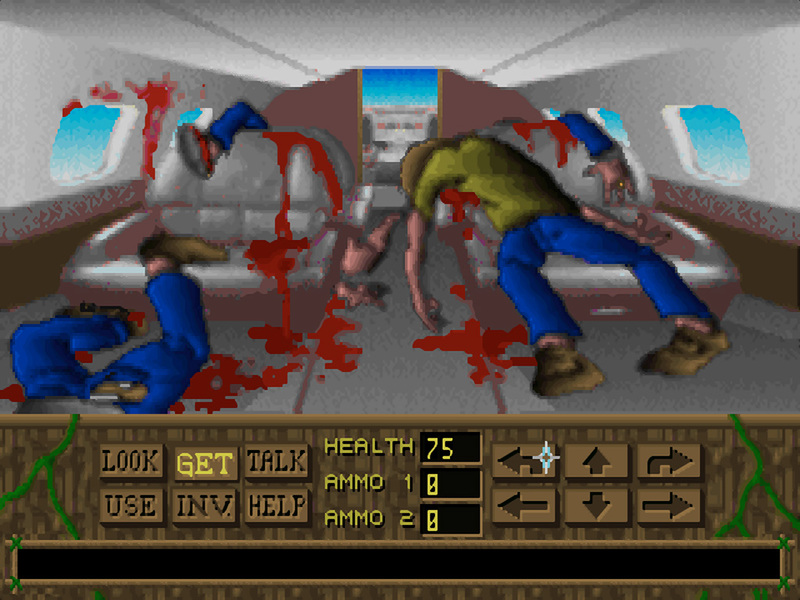 As if it wasn’t apparent by now, Isle Of The Dead is a very eclectic game. The real question is: does it work? Heck, I don’t know — it did work for me when I played it as a kid, or at least I remember it being entertaining, but upon a second look… To be blunt, the game is pure garbage. Insanely difficult too. A prime example of a title that is better left alone as a fond memory. I guess I was a pretty stubborn gamer back then because I feel like there’s no way I could get myself to finish this thing right now. On its defense, I must say that its warped humor is very refreshing and it has some fun sequences (especially when you meet some wacky natives of the island). The sound effects are really good as well and it was a pleasure to relive the equally comic and unsettling cry of “Daddy?” when the zombie kid finds you. To round up the fairly slim list of pros, the many death sequences are nicely done. 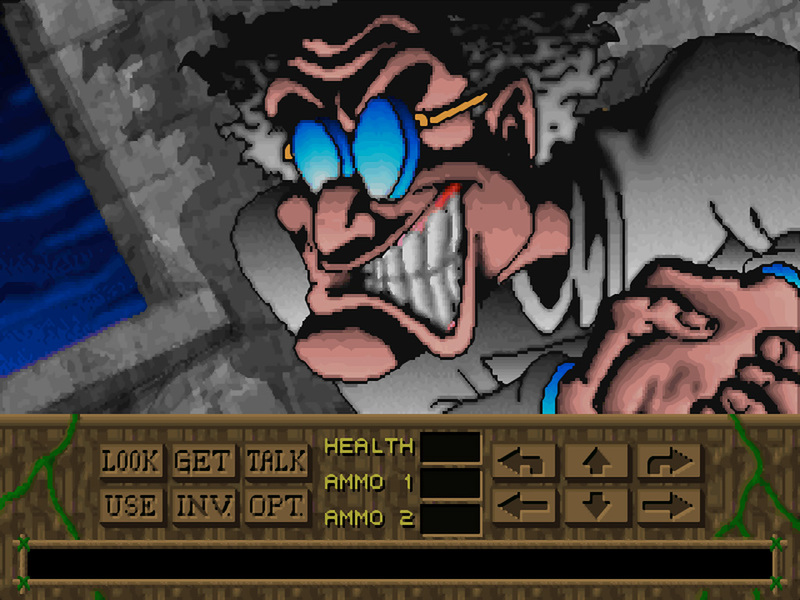 It’s worth noting that the publisher was intent on putting the word “Wolfenstein” as much as possible on the box, and truly enough, Isle Of The Dead does play like a deranged version of Wolfenstein. 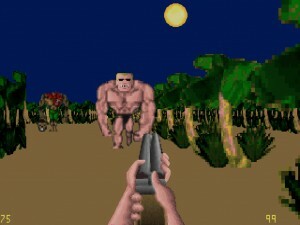 Can’t say I can recommend this game but it definitely has earned the dubious honor of being a very weird curiosity in the history of shooters. 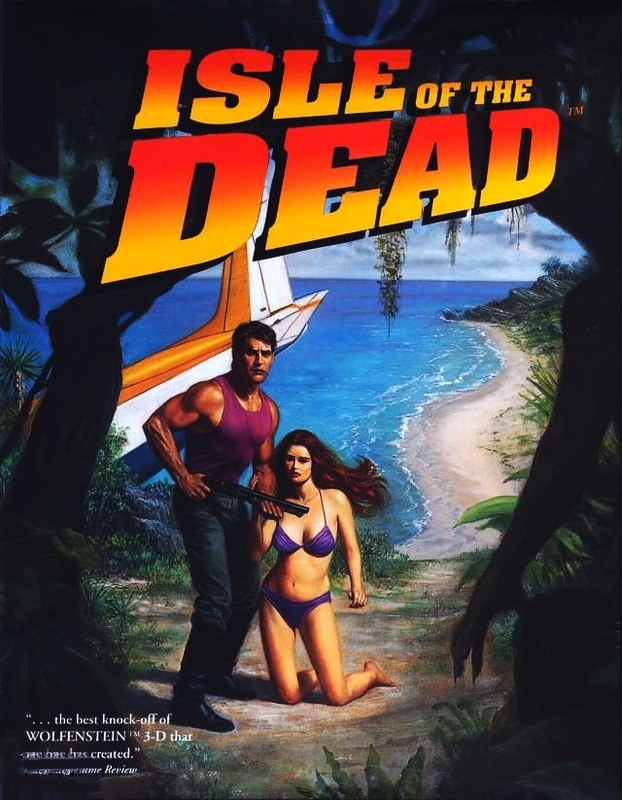 I remember seeing an ad for this one in an American mag, but I’m pretty confident the Isle of the Dead never made it to Greece. Possibly not even Europe. Still; great little review and I’m glad I didn’t miss out anything spectacular. Was intrigued you know. Yeah. One of the few times where not even the nostalgic value could redeem the game! I found this stinker in the bargain bin of an Electronics Boutique in the late 90s and, of course, I had to pick it up. At least I was only out $5.00. The sprites are well-done and the background scenes where you explore and puzzle-solve are very over-the-top with the blood and guts, but the gameplay is atrocious considering that by the time this came out we already had been playing the hell out of the Shareware first episode of Doom for months. 8/10 for effort, 2/10 for execution.